Product information "Powder Design Hair Slide Set"
Flower and Bee set of three in pearl, black and navy beads, new for SS17. A perfect combo of Hairslides to make your hair even prettier. 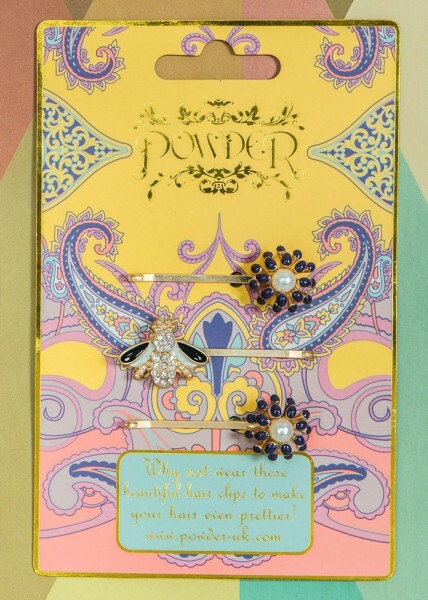 Related links to "Powder Design Hair Slide Set"
Customer feedback for "Powder Design Hair Slide Set"